In order to meet with the diverse requirements of clients, we are engaged in exporting, trading, importing & supplying the Biscuit Making Machine. 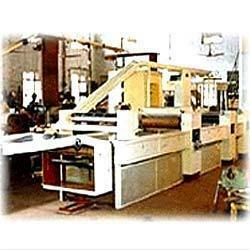 Our offered machine is available from us on number of specifications as per the demand of customers. Vendor’s experts manufacture these machines with best grade material and advanced techniques in adherence with the set norms. In addition, our machine tested by vendor’s quality experts, for supplying faultless range. Looking for Confectionery Machines ?